Tony Hawk has appeared in video riding a genuinely real hover board. The Hendo hover board is a prototype that was built to showcase the technology for a Kickstarter campaign that currently receive twice as much money as the company is asking for; and that was before the skateboarding legend turned up to give it a try. Unfortunately, it does not fare so well with tricks as the hovering makes it a little difficult to actually kick off anything. In the video, Hawk was mostly left spinning around until he fell off; without anything touching the ground there is little friction to prevent a slight spin from turning into a tornado of pain. Still, this is one of the sights that nobody ever thought they would live to see; whether it was worth the wait is another story. The Hendo hover board has some pretty confining limitations, and cannot just float over any surface. Instead, it creates a magnetic field above a non-ferromagnetic conductor to remain in the air, which is apparently similar to the technology in maglev trains. The current prototype is capable of floating more than an inch off the ground and is more than capable of supporting the weight of a fully grown human. 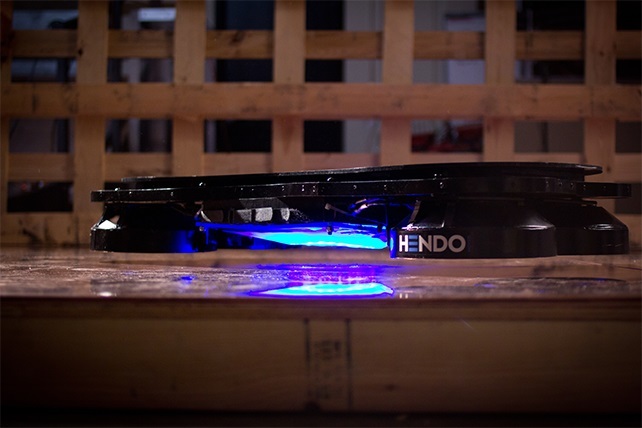 While the initial prototype is the much awaited hover board, Hendo is looking for other applications for the technology. One idea is to levitate buildings in earthquake prone areas to reduce damage done in natural disasters. However, the company will not abandon the hover board and is also planning to use a portion of the Kickstarter money to finance a skate park. Samsung Galaxy S6 to Utilize Next-Gen UFS 2.0 Memory?